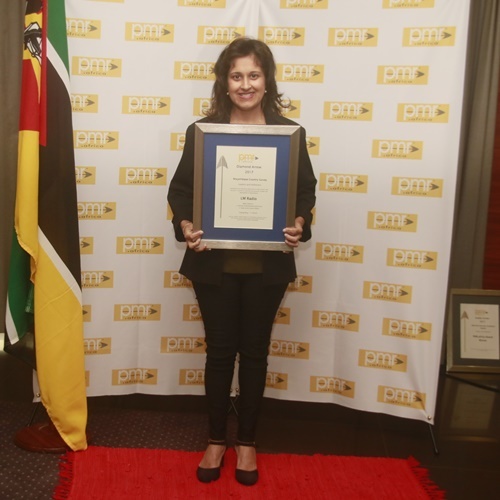 LM Radio once again proves itself to be a force in commercial radio, winning the top spot in Mozambique. 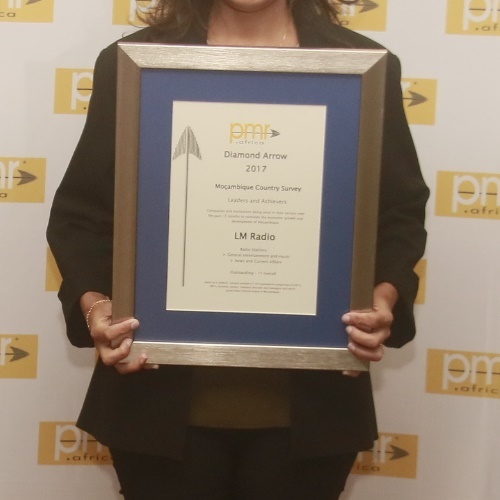 Lydia Pearson Bengo LM Radio’s Mozambican Sales Manager received the award on behalf of LM Radio at the awards ceremony held at Indie Conference Centre in Maputo on 30 June 2017. The Diamond Arrow award recognises LM Radio’s contribution over the past 12 months to stimulate the economic growth development of Mozambique.